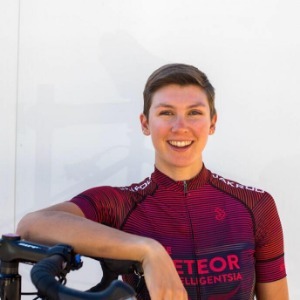 Kristen provides one-on-one personalized coaching for road, mountain, and cyclocross racers along with nutrition services. Kristen is a level 3 USA Cycling coach, category 1 domestic elite road racer and seasoned mountain bike and cyclocross racer. She has been racing bikes since 2012 in road, mountain, and cyclocross disciplines. In 2013 she completed Tour Divide in 23 days finishing with the 4th fastest recorded women’s time in the history of the race. The same year she founded and lead a women’s developmental cycling organization (Lady Gnar Shredders) dedicated to bringing more women into the sport and supporting their development. She currently races at the national level on The Meteor // Intelligentsia domestic elite Women's Racing Team. Kristen is also a registered and licensed dietitian with a Master’s of Science (MS) in Nutrition from The Ohio State University and a Certified Specialist in Sports Dietetics (CSSD) from The Academy of Nutrition and Dietetics. She provides individualized nutrition counseling services which complement her coaching. With Kristen’s diverse experience in the sport of cycling and expertise in nutrition, she provides a comprehensive approach to her coaching. Success. Coach Kristen Arnold MS, RDN, CSSD has been notified of your message.